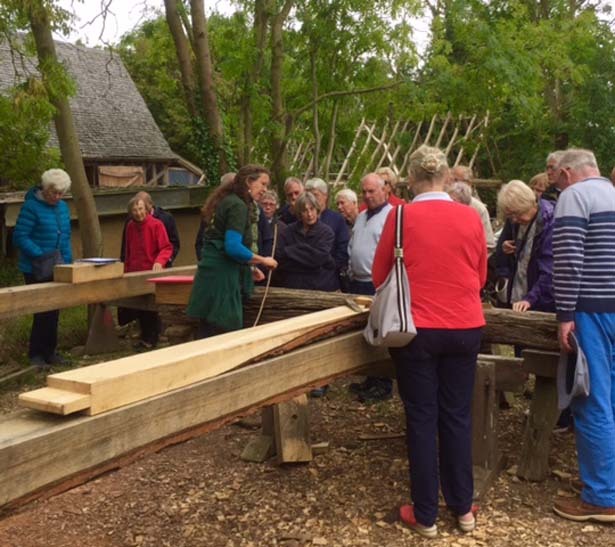 Looking for a talk about sustainability in action, community development of heritage skills or reinstating a timber frame from the 1580 'like for like'? With eleven years of experience and success behind them the Orchard Barn story is both inspiring and informative. Establishing a Community Interest Company and undertaking a major renovation as a series of training projects has not been the quickest, but it has helped over 3000 people (and counting) learn heritage skills and keep them relevant to the needs and environmental challenges of the 21st century. OBee CIC specialise in using natural materials sourced from the landscape or woods. Using a combination of traditional methods and human energy we teach students and volunteers to convert earth and trees into buildings. There are huge environmental and social benefits to working collectively in these low impact ways. We can show your group how. Within Suffolk, UK our fee for a 50 minute talk is £90 with OBee CEO Sarah Partridge. At no extra charge she can bring examples of traditional building materials dating back 500 years. Travel time outside of county and expenses are negotiable. Building with the local landscape! We can also organise guided tours of Orchard Barn for your group @ £10/per person to include tea and cake.